When our Spa becomes your Spa! Book exclusive use of the Spa of the Christmas Farm Inn with this amazing package. From 5 PM to 8 PM (adjusted as needed), you and your group of 6 – 12 of your closest friends will enjoy an evening of pampering. For the price of $199 per person, each guest will enjoy 3 “mini” treatments (a 30-minute massage, 30-minute facial and a manicure), a delicious cheese and fruit platter, vegetable crudités and a bottle of house wine (red or white), Champagne or sparkling cider. The Spa After Hours package includes all taxes and gratuities, so you can relax and enjoy being pampered by our award-winning technicians. A fantastic and unique way to celebrate a birthday, anniversary or any other special occasion. Would you rather have a full hour massage or facial? How about a pedicure to go with that manicure? Your group of 6 or more can pick and choose from all we have to offer to customize their own Spa Day adventure. And each person will receive 10% off the total Spa service (*discount does not apply to service upgrades). Order lunch or snacks off our Spa Catering Menu, add a bottle of House wine or Champagne to complete your Spa experience. Top off the day with a great dinner and drinks at our dining room or in the cozy Mistletoe Pub located at the Main Inn. These group Spa Packages make a great gift idea for your family and friends (think Bachelorette or birthday party), so you can not only give but also enjoy the relaxing benefits of a Spa day as well. Take advantage of these great money saving deals while enjoying a much-deserved break from day to day stresses. Advance reservations for services are required. Please call (603) 383-4313, or you can reach us by email at spa@christmasfarminn.com. You can also use our online scheduling service by clicking on the link from our website or at https://christmasfarm.boomtime.com/lschedule. 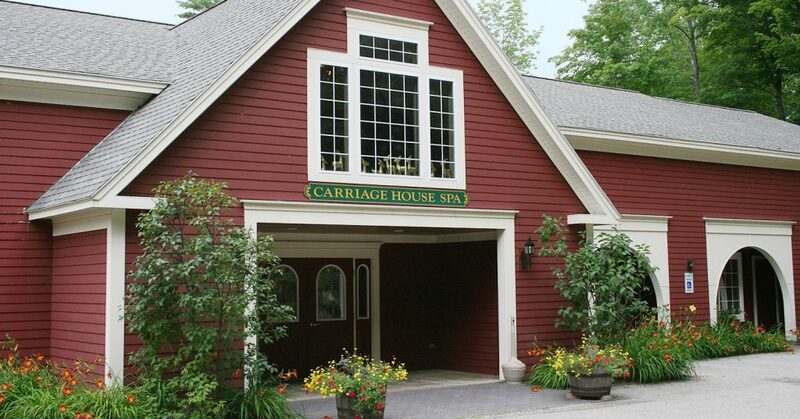 We hope to see you soon at our Jackson NH Day Spa.